A recent survey found that two-thirds of organizations feel that their performance reviews are not effective. 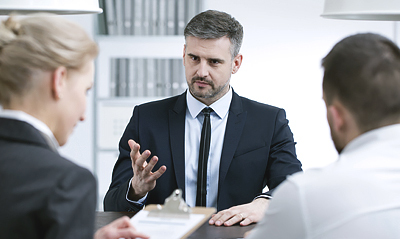 Described as ‘subjective and highly ambiguous,’ performance reviews can be a very impactful tool when used appropriately, but as this research shows, most companies say that they are falling short of the mark. Wilson, who is the President of the national employment solutions firm Employco USA, says that instead of ditching performance reviews entirely, companies need to rethink the way they approach this measuring stick and bring performance reviews into the modern era. “Modern performance reviews are largely based on the merit system used by the military in World War I – a system that has not grown adequately to suit the needs of today’s corporate structures. The original idea was that workers were so plentiful that poor performers needed to be identified from efficient workers so the former could be replaced and the latter promoted. This mentality is slowly dying as the labor market tightens up. Employers are now more concerned with coaching poor performers instead of replacing them immediately. Annual reviews are less effective in this regard, since their primary purpose is to hold employees up to a (typically) quantitative standard, not to assess granular performance and insert coaching opportunities. That’s where frequent check-ins come in,” says Wilson. What is a frequent check-in? Think of frequent check-ins as microscopic evaluations. In this process, managers evaluate employee performance periodically throughout the year, not just at its end. Managers are checking in on employee performance as it happens, not giving a rating months later. To get started, employees should first develop a goal for themselves for the year. It could be related to performance or some other aspect that’s important to your company, like growing a particular skill. Next, managers should schedule individual meetings at set intervals throughout the year to check in on the progress of the goals. The meetings are also an opportunity for employees to receive feedback in any areas where they’ve fallen short, such as not achieving a goal or milestone on time. For more on this topic, please contact Rob Wilson at rwilson@thewilsoncompanies.com.